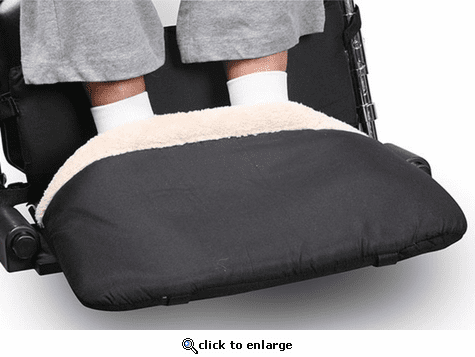 This is a NEW Fleece Lined Foot Warmer for your Wheelchair. Keeps your Feet Warm and Comfortable all year long. The great wheelchair accessory installs in seconds without tools and fits most every wheelchair made. With a firm base for your feet, this fleece lined, padded pocket will keep your feet toasty. No tool installation.